﻿Stanton T. Friedman﻿, Nuclear Physicist-Lecturer, received his BSc. and MSc. Degrees in physics from the University of Chicago in 1955 and 1956. He was employed for 14 years as a nuclear physicist by such companies as GE, GM, Westinghouse, TRW Systems, Aerojet General Nucleonics, and McDonnell Douglas working in such highly advanced, classified, eventually cancelled programs as nuclear aircraft, fission and fusion rockets, and various compact nuclear powerplants for space and terrestrial applications. 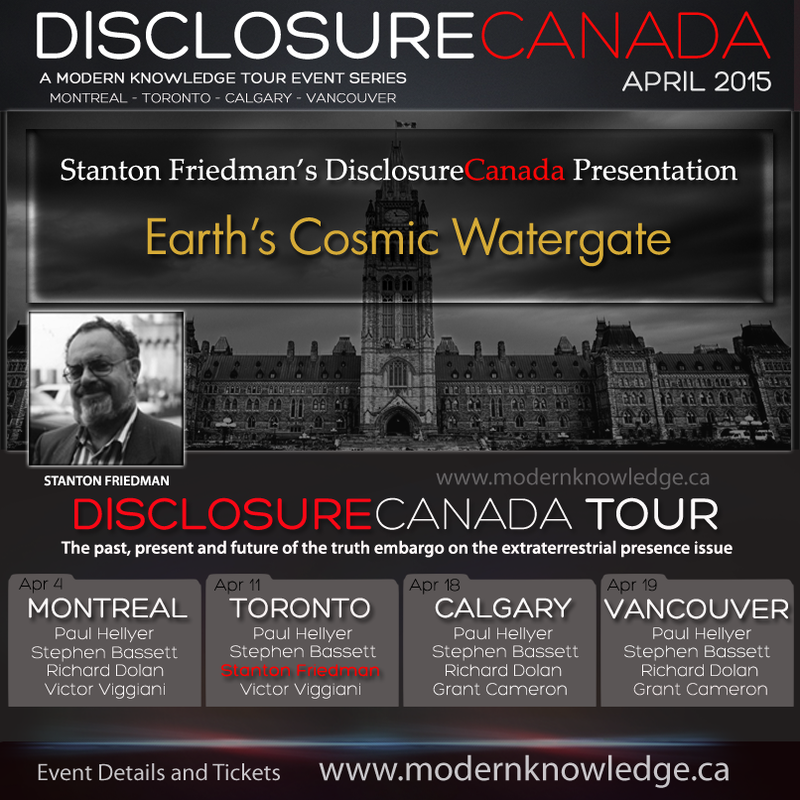 He became interested in UFOs in 1958, and since 1967 has lectured about them at more than 600 colleges and 100 professional groups in 50 U.S. states, 10 Canadian provinces and 18 other countries in addition to various nuclear consulting efforts. 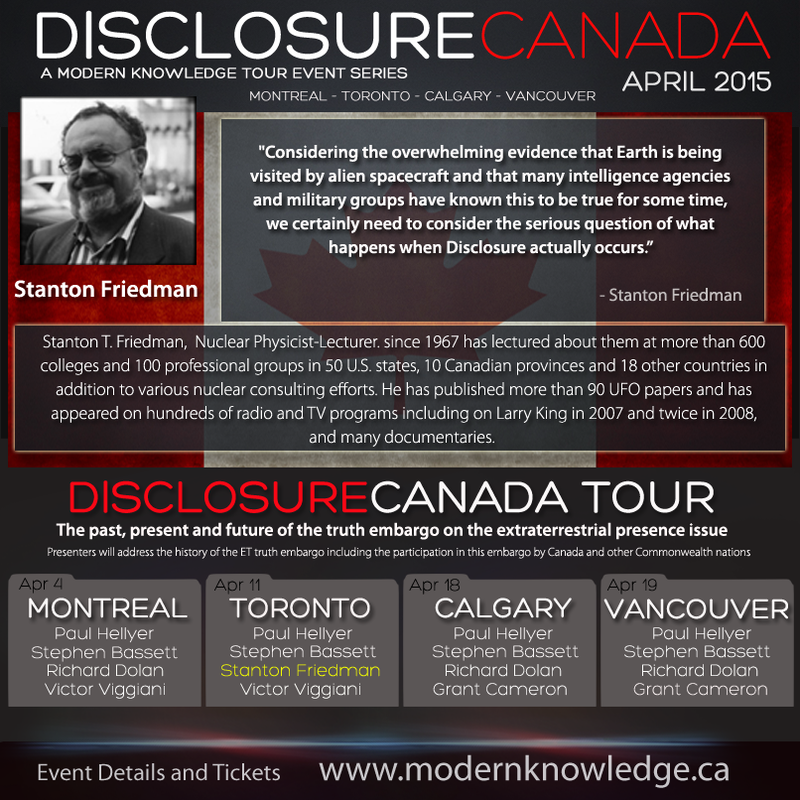 He has published more than 90 UFO papers and has appeared on hundreds of radio and TV programs including on Larry King in 2007 and twice in 2008, and many documentaries. He is the original civilian investigator of the Roswell Incident and co-authored Crash at Corona: The Definitive Study of the Roswell Incident. TOP SECRET/MAJIC, his controversial book about the Majestic 12 group, established in 1947 to deal with alien technology, was published in 1996 and went through 6 printings. An expanded new edition was published in 2005. Stan was presented with a Lifetime UFO Achievement Award in Leeds, England, in 2002, by UFO Magazine of the UK. He is co-author with Kathleen Marden (Betty Hill’s niece) of a book in 2007: Captured! The Betty and Barney Hill UFO Experience. The City of Fredericton, New Brunswick, declared August 27, 2007, Stanton Friedman Day. 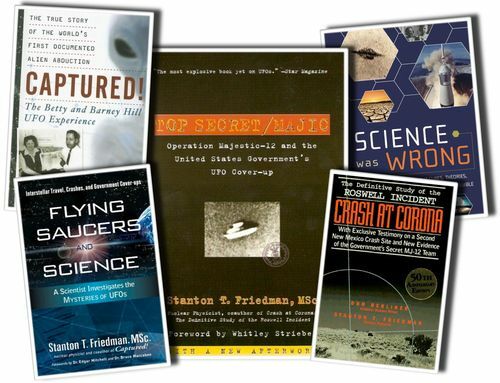 His book Flying Saucers and Science was published in June 2008 and is in its 3rd printing. His newest book, also co-authored with Kathleen Marden, is Science Was Wrong released in June 2010.